• This Replacement includes the components as mentioned above, Please do not confuse it with lcd only. • The products has white and black color. • This products is 100% brand new and original, and each product of ETS Goes through strictly inspection before shipping out. 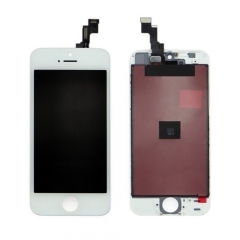 • This LCD touch digitizer with small parts is compatible with iPad mini only. Please do not confuse it with other version. Packed with anti-static bag ,bubble bags and foam box, which ensure your goods' safety . We accept your packing, can, logo and image etc, all by customers' request. are in a good condition during storage and delivery . number the next day after the goods are shipped.